Plant breeders at the University of Göttingen and Agrecol have launched a joint initiative to protect seeds as common property. Agrecol developed an “Open Source Seed Licence”, which legally protects seeds as commons (ie a natural resource accessible to all members of society) and thus protects them from patenting and similar issues such as “plant variety protection”. The results were published in the journal PLOS Biology. “It is with great concern that we have watched as worldwide access to breeding material is increasingly restricted by private-sector interests. Among other things, patents prevent important traits from being used more extensively in breeding, ” says Dr Bernd Horneburg from the Department of Crop Sciences at the University of Göttingen. “The movement for seeds to become a commons has become stronger in the last six years – presumably due to growing privatisation and market concentration in the seed sector.” Such movements are most noticeable in Germany, the USA, India and East Africa. This recent idea means that new varieties are protected by a licence as commons. This means that everyone is allowed to use them, give them away and develop them further – free of charge. Subsequent developments also fall under the licence. The only condition: to ensure that the seed remains accessible to all, it must not be covered by patents or other exclusive rights. According to the authors, this open source characteristic could even be legally enforced should there be any case of doubt. Agrecol (Association for AgriCulture and Ecology in Africa, Asia, Latin America and Eastern Europe) promotes site-appropriate land use in developing countries. It is currently testing the Open Source Seed Licence with its Open Source Seeds Programme along with the University of Göttingen and “Culinaris – Saatgut für Lebensmittel”. “There is great demand from consumers,” says Project Manager Dr Johannes Kotschi. More and more traders are offering licensed tomato varieties. 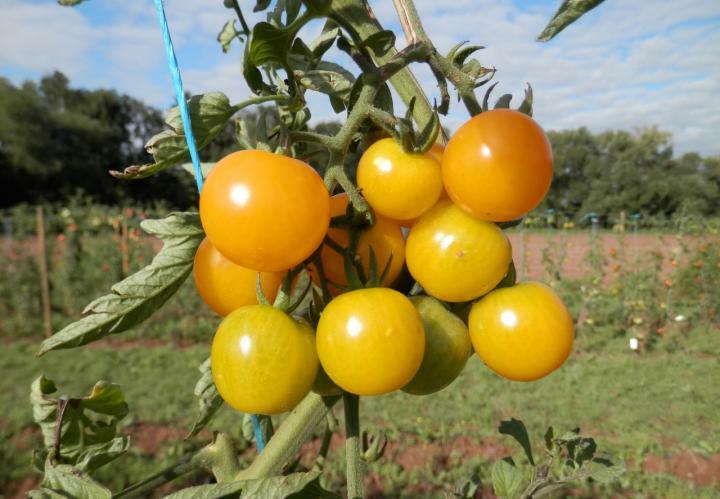 The cherry tomato “Sunviva” from the “Organic Outdoor Tomato Project” of the University of Göttingen was the first tomato variety to get an open source licence in 2017. “Sunviva” is well suited for gardens and balconies at home; the yellow fruits ripen early in the season. The “Organic Outdoor Tomato Project” is a network in which new, adapted varieties are developed through the free exchange of breeding material and knowledge. Since then, further varieties of tomatoes, maize and wheat have been licensed, and the trend is growing.